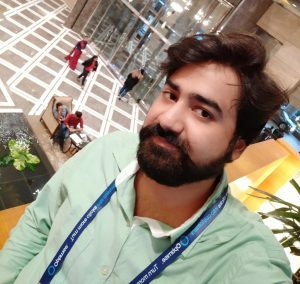 Hello friends, Today I will tell a method on how to fix outlook not receiving emails automatically. It will fix all the errors related to Outlook. Users will start receiving emails on their Outlook. User Outlook will be automatically updated on Windows PC/Laptops. It is a serious issue when you are unable to download the outlook emails from the server even if there is a working internet connection. First of all, I will explain what is Outlook email. After that, I will tell you in brief that how does it work. 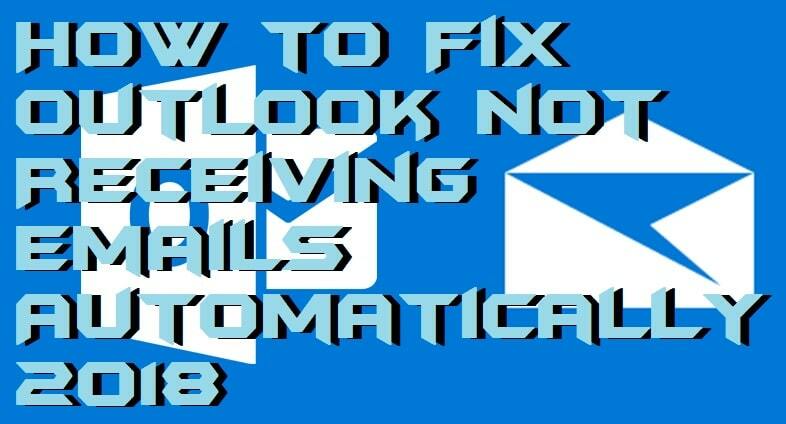 Then you would come to know How to Fix outlook not receiving emails automatically. For the last couple of weeks, I have been receiving messages on the social media regarding this problems. Many of our website’s precious visitors asked us about this problem. We discussed the same with our team and tried some direct and alternative ways to solve this problem. So, not wasting any time, I will demonstrate the solution for “outlook not receiving emails automatically” problem. Just like Gmail, Yahoo, and many other Email service providers, Outlook is also an Email service provider. Along with Email service, it also lets you download all the emails from online. After which, you can view those emails on your computer. “Outlook Email ” is the best service provided by Microsoft. Although, you need to have an outlook or Microsoft account and internet connection to download the emails. After which you can enjoy this service. There are many versions of the Outlook for windows. Here is the list of them. There are also some other versions of it. Users can easily download them from the internet. Some of them are paid, while others are free. However, there are two types of Microsoft outlook based on the use. First one is Microsoft outlook express for is a slimmed version by Microsoft. Users like students and other common people use this version. The second version is “Microsoft outlook.” Which is kind of pro version with full features. Many professional people like employees and big companies use this version. Because it provides more provinces. We can say that is a commercial version of Microsoft outlook. Now I will explain how MS outlook works. After that, I will explain how can you solve the problem when Outlook not receiving emails automatically. After knowing what is outlook Email let us proceed for the next topic. Many of you might have a question in your mind that how does Outlook work. As already mentioned, Microsoft downloads the emails as soon as an internet connection is available. After downloading, MS Outlook saves all the new emails and other information in the outlook app. This MS outlook app is available on your computer for mail purposes. What MS outlook does is that it sets up a connection with the online server of your email, Which is established on behalf of your Email account. For this, you need to add your Outlook account in your MS outlook App installed on your PC. For this, you will need to Fill up your MS outlook account details along with configuring the server. Where you will need to add some services of incoming emails and outgoing emails.Which could be a complex as well as monotonous task. But once you set it up, you can enjoy great services and features of it. Now, I will explain the solution for Outlook not receiving emails automatically. While using the ms outlook, sometimes you will notice a problem. The problem is widely known as “Outlook not receiving emails automatically ” or “outlook not updating emails.” Also, outlook not receiving some emails is also a similar problem. In this problem, MS Outlook does not update or receive any email. Even if your internet connection is working. This is a type of synchronization problem when MS outlook is unable to update the list of the Emails from the MS outlook server. I have received many messages regarding this problem about Outlook not receiving emails automatically. Therefore I had decided to write a post on this. So, here is the solution to this problem. Follow these steps very carefully to solve the synchronization problem on your MS outlook account. Open the outlook app on your pc or laptop and go to file menu. Now, go to account settings and click on change. After doing this, your problem will solve. If not, then try this procedure. Remove any filters if you have applied them on any folder. Click on view tabs and select “Reset views.” It will reset all the views. Now close the outlook and open it again in safe mode and look for the new email. If you start receiving the emails, then remove any add-ins associated with outlook. Then again check the result. If the problem still occurs, then you must create another account. Then set it as the default account. After performing these steps, your problem will not occur again. Because these are the only reasons for any error. But if still face the problem of “outlook not receiving emails” or “outlook not receiving emails automatically.” Then contact the Microsoft from their official site. All in all, I can say that, while interacting with the same problem, I have always tried these solutions. Every time they worked. But there are some worst cases where this problem still shows up in your Pc or laptop. In this case, we always recommend you to contact Microsoft. Because some apps are claiming to solve this error and ask you to enter your Email and password. But this is one of the biggest and significant scams on the internet. Do not ever download such apps in your pc or laptop. Unless these might put your privacy in trouble. Because the developers of these applications are mostly hackers. They can use your email and password for major cyber crimes. Therefore you must e aware of these kinds of applications. If you have any trouble or query feel free to comment below. We will try our best to assist you. Good luck.